The big day’s tomorrow! Are you ready yet? If the answer to that is a frenzied “heck, no”… then this post is for you. Perfect for you last-minute people! If you want an elegant Thanksgiving table but don’t have the time, money, or interest to invest in new tableware, don’t worry – you can dress up your table with things you already have, without resorting to paper turkeys. Try these easy centerpieces and table-setting tricks to impress your guests without having to go back to the store. 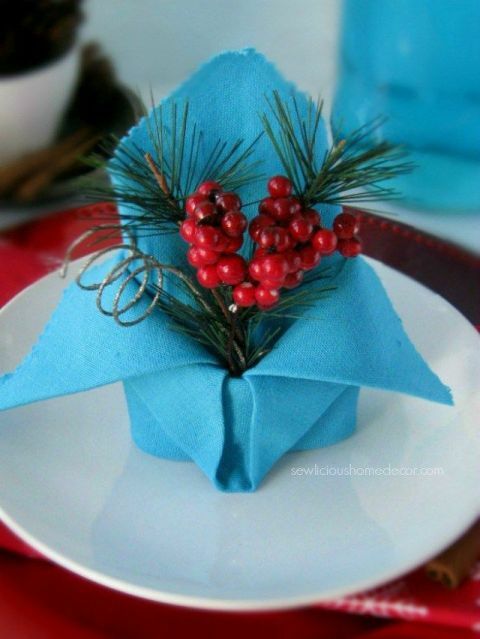 Learn a new napkin fold or – even easier – fold it under or across each place setting as an accent. 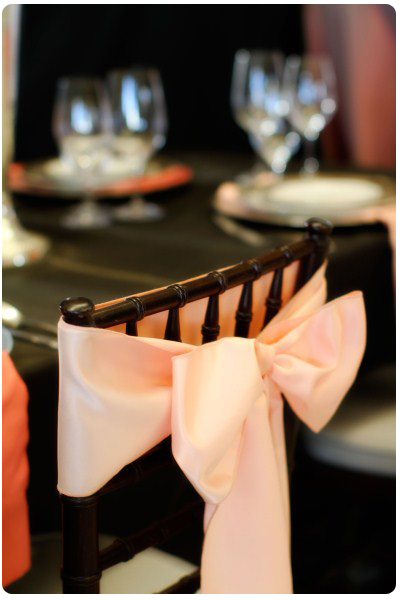 Scrounge up those rolls of ribbon or twine and put them to work; tie silverware together into bundles or, if you have longer or wider ribbon, tie a bow onto each chair (why should the table have all the fun?). Sure, they’re not necessary if you’re not having a huge crowd (or relatives who hate each other and must be seated on opposite ends of the table). 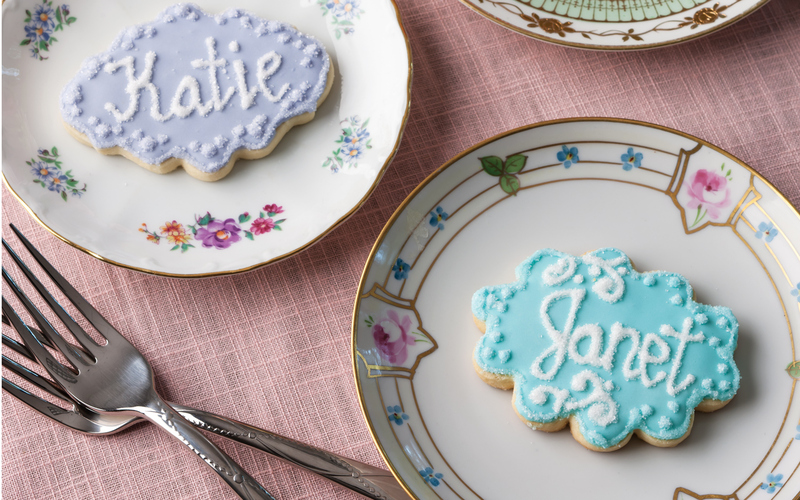 But place cards are an exciting addition to a table – they make it feel more formal. Get nostalgic with an old photo of each family member or friend or simply write or print names on pretty paper; stick them into holders or just lay them on the plates. You don’t need fancy votives or candlesticks. Stick taper candles into empty bottles (you’ve probably accumulated a few of those getting ready for the holiday!) or into those wilting gourds and arrange them artfully on your table, grouped together or in a line down the center. 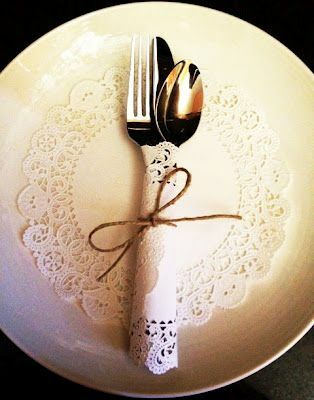 If your dinnerware is in relatively good shape, don’t just set the table with a charger and a dinner plate. Layer each piece that you’ll be using – dinner plate, salad plate, soup bowl, teacup or glass – on top of each other for a visually interesting place setting. Take a trip to your backyard to gather pine cones or branches. Spray paint them if you have the time or interest, then arrange them in vases or jars (or just tie them together) for an earthy look. Place your prettiest bowl, vase, or jar in the middle of the table; give each guest a piece of paper and a pen to write down what they’re thankful for and put all papers inside. Read them over dinner or dessert. Don’t let the spirit of the day get lost in turkey and football and Black Friday sales!